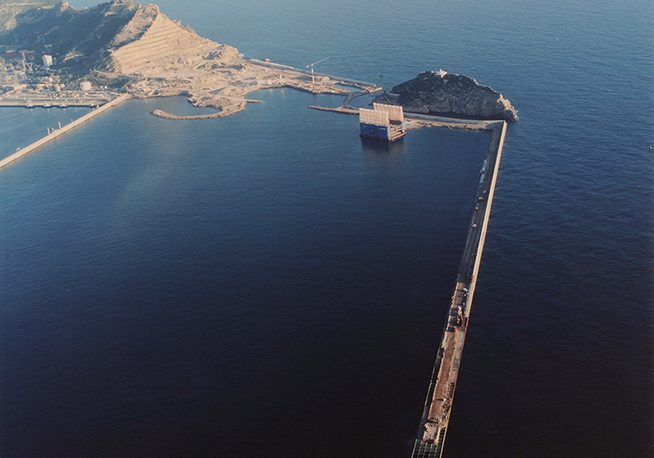 The project included the construction of a 606.8-m long enclosure dike between Punta de los Aguilones and the Escombreras islet that surrounds it, a 580.6-m long perimeter dike and a jetty parallel to the existing Bastarreche dike, thus creating a 70 hectare sheltered water surface area. 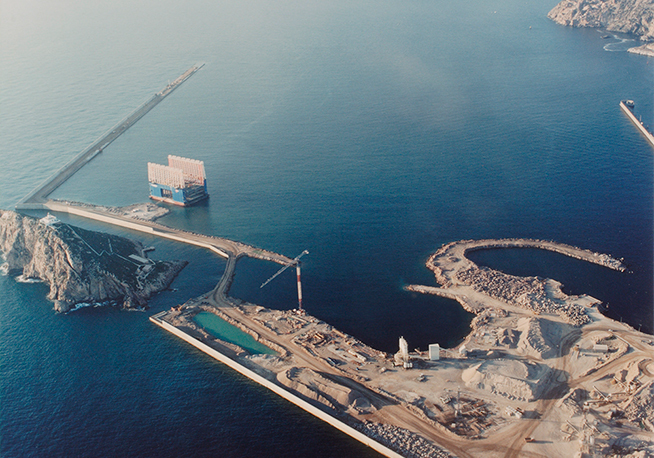 The south dike has a total length of 606.80 m, with a first section of 202.50 m formed by a sloping wall and a second section of 404.30 m made up of reinforced concrete caissons. 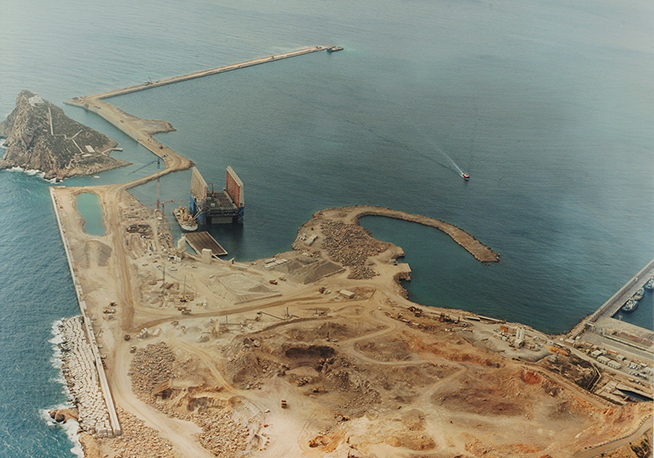 The perimeter dike is made up of reinforced concrete caissons with a total length of 580.60 m.
The southwest dike is made up of reinforced concrete caissons 29 m high, 1,036 m long and with a draft depth ranging between 22 and 50 m.